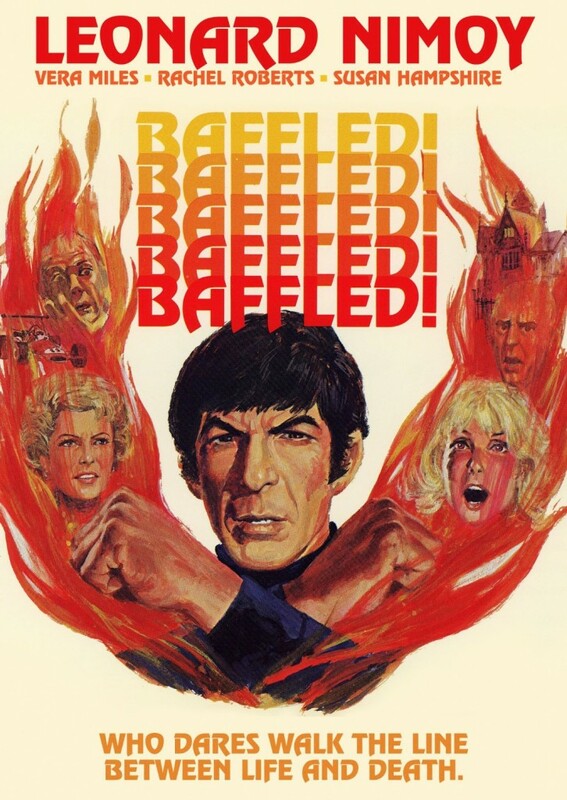 Baffled (1973) | B-Movie BFFs! This isn’t actually a film; it’s a television pilot that didn’t go anywhere, really. As a film, there’s not much to recommend it. As a television show, it’s a shame it didn’t happen, because the premise is kind of cute. 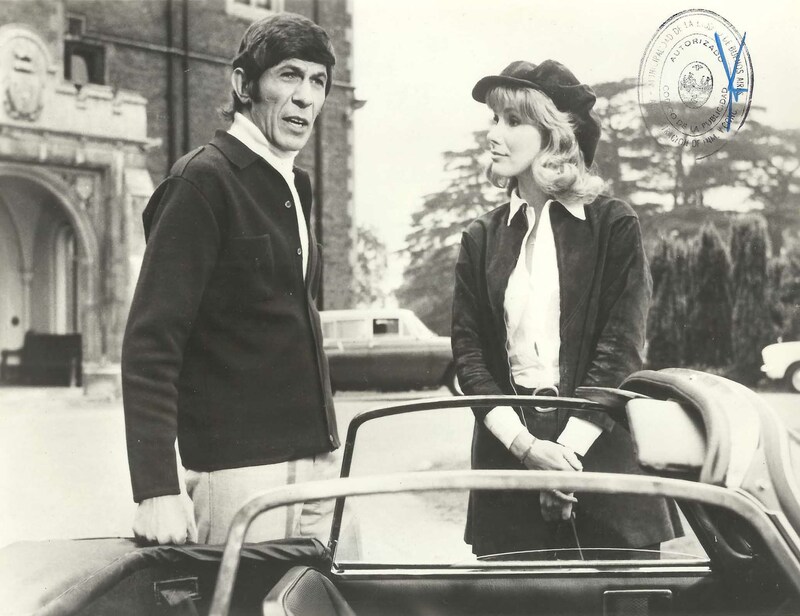 So Leonard Nimoy slips off his polyester Star Trek uniform for an Orlon turtleneck or two to play a sort of groovy race car driver dude named Kovak. One day out of the blue he has a distracting vision while racing flat-out which causes him to crash. Apparently he feels no compunction in sharing this episode, as while he gives a television interview, he unwittingly exposes himself to the notice of a woman interested in ESP (Susan Hampshire, as spirited and sweet as ever). She contacts Kovak and tries to persuade him to help those he has visions about. The final result was pretty sweet and pretty corny. Performances are made-for-TV standard, although both Nimoy and Hampshire are adorable. There’s a pretty cool (and odd) 60s era black van involved in a chase 2/3 of the way through the effort. A weird scene – cool van though. Final analysis: fans of Nimoy or Hampshire, or fans of seventies television and seventies made-for-tv should watch this film; otherwise, you may put it in your insomnia cure moviebank. Great poster art and stills out there! They’re worth a look.